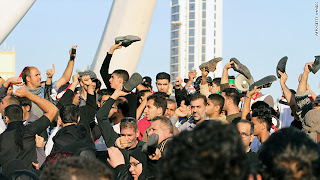 After Tunisia and Egypt it looks like that People of other Arab Countries are also not ready to accept the Corrupt Dictators ruling on them and this is why Protests in Several Arab States are on the raise. Specially in Bahrain Protests are increasing very much in different Cities. Dozens of people are also killed by Police. Due to firing of Bahraini military many people seriously got injured on Saturday. Bahrain's Ruler Salman bin Hamad has said that i am ready to do dialogue with Protesters but Protesters are demanding only his resign. over 200 people have injured till now in Bahrain's Protests. 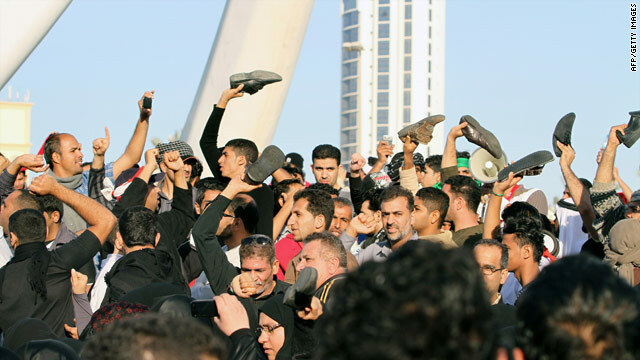 The Similar Situation like Bahrain is present in big cities of Libya. Army of Libya is clashing with Protesters in different cities who are demanding Muammar Gaddafi to resign.